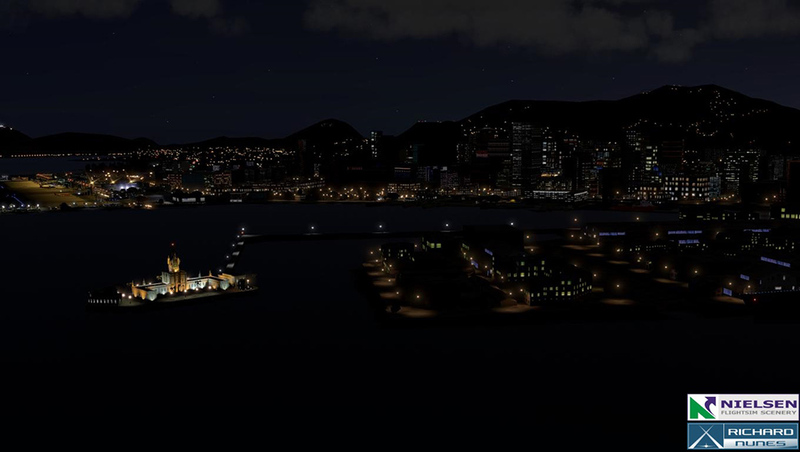 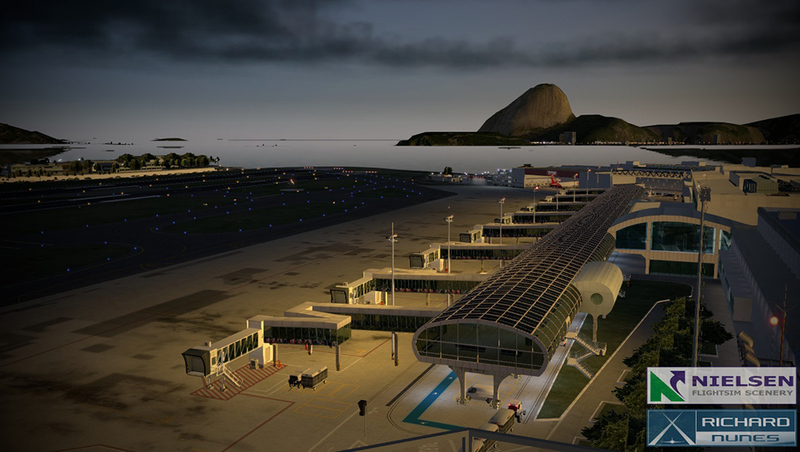 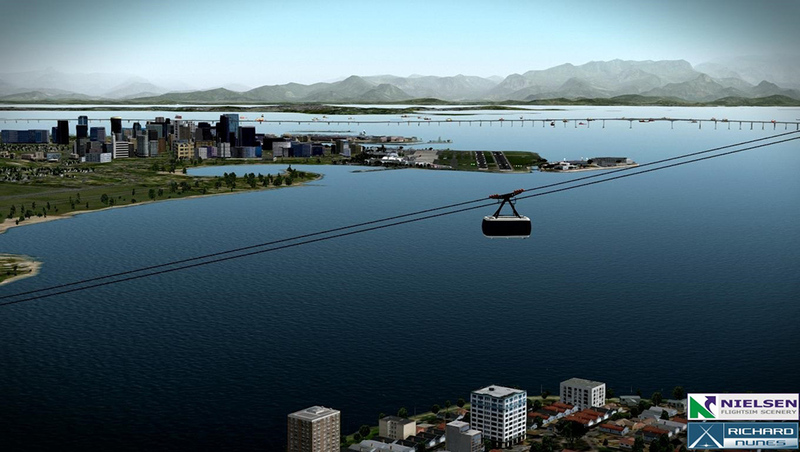 Informations sur le produit "Airport Rio de Janeiro-Santos Dumont XP"
Santos Dumont Airport (SBRJ) is a central airport located close to the financial center of Rio de Janeiro operating domestic flights. 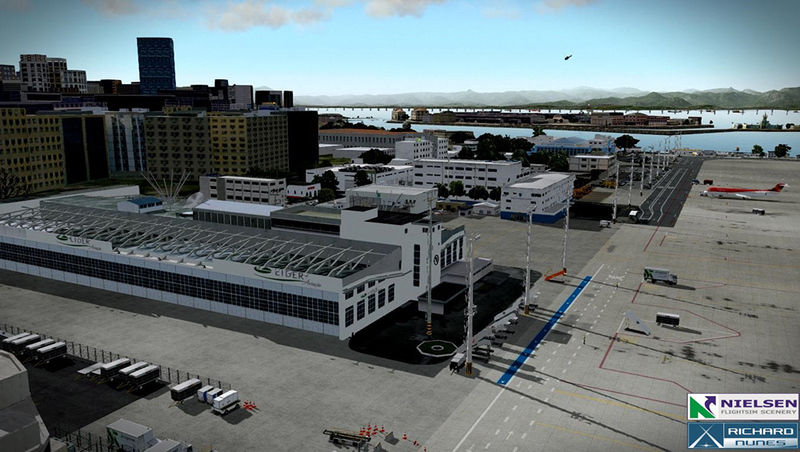 Built in the 30s on top of an embankment at Guanabara Bay, Santos Dumont airport was the first civil airport opened in Brazil. 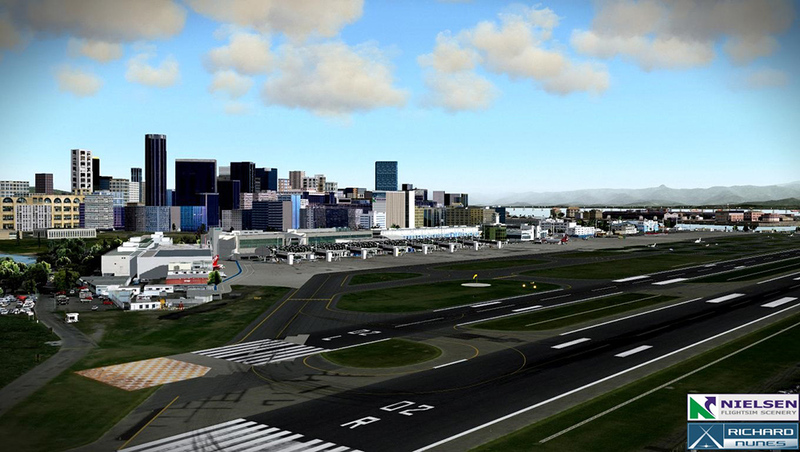 Today it’s the second busiest airport in the state of Rio de Janeiro. 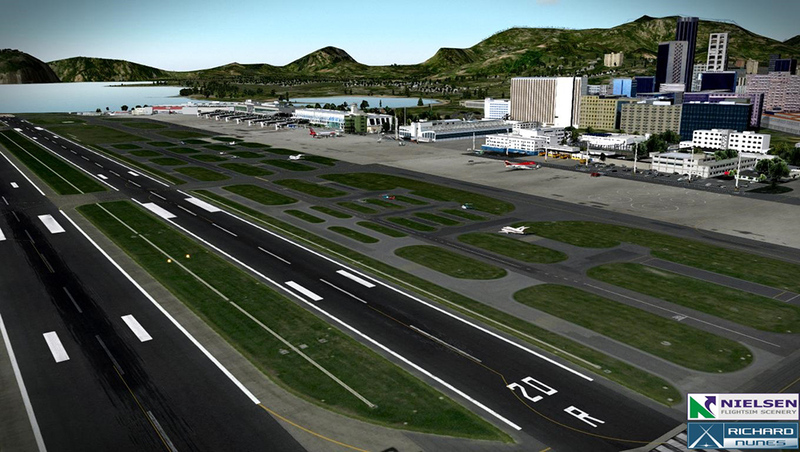 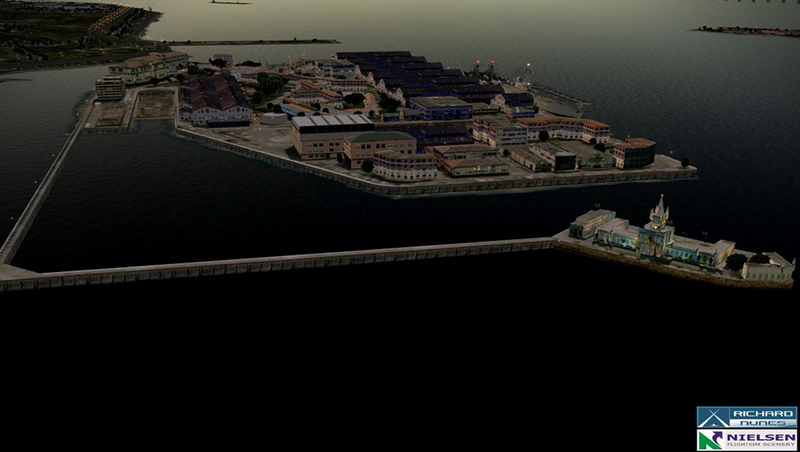 This ultra-high resolution replica of Santos Dumont Airport contains custom runways, apron and taxi ways with ambient occlusion. 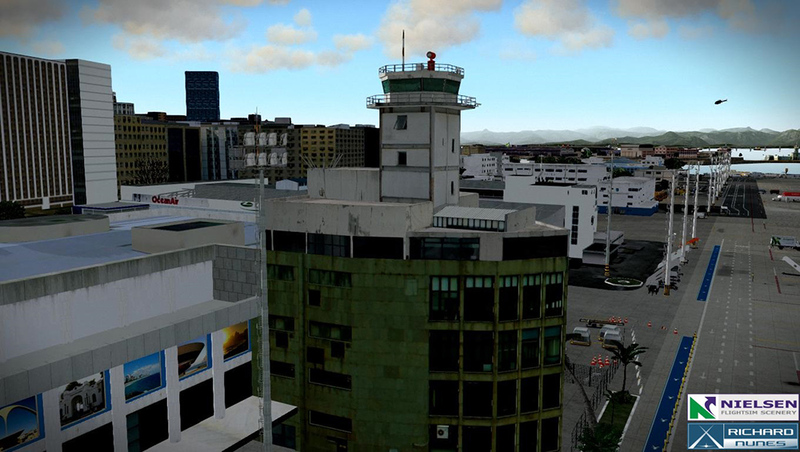 The authentic mesh convinces with tons of static objects surrounding landmarks. 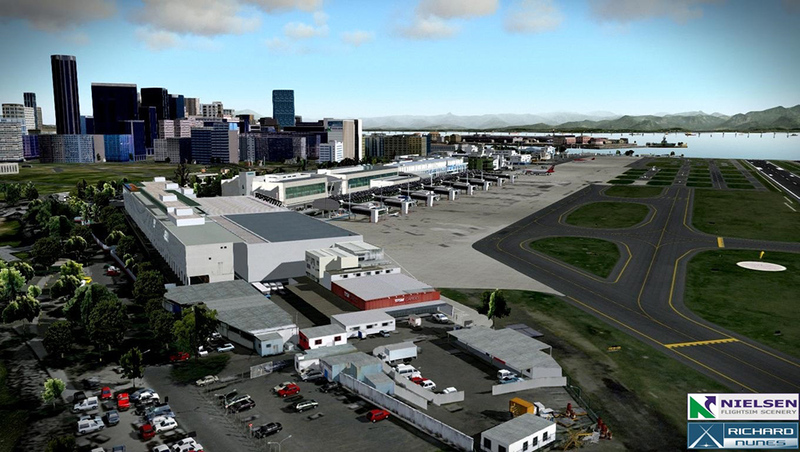 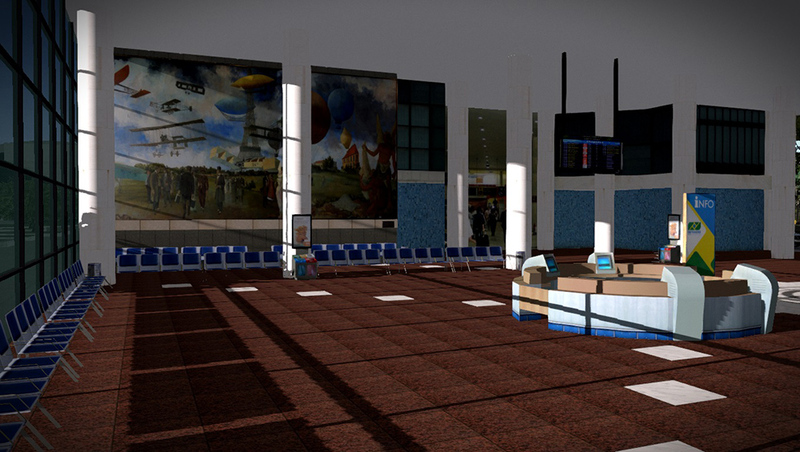 The fully animated airport including animated vehicles, ships and barges create a lifelike rendition of the airport. 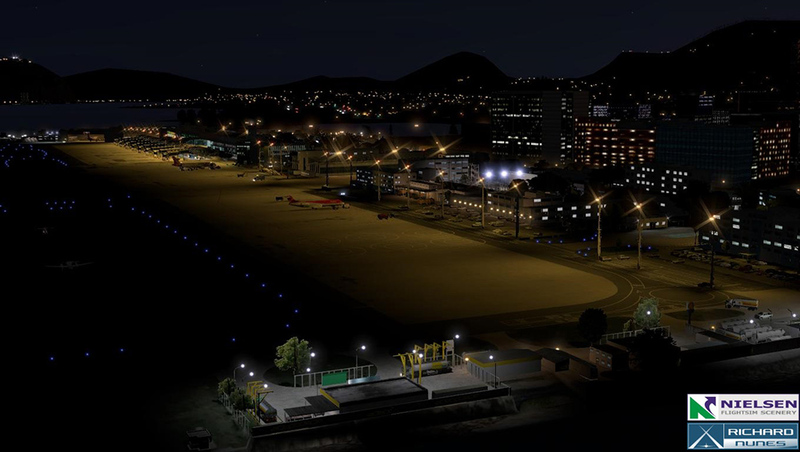 Last but not least the animated 3D-grass and the superior lighting with night textures and HDR effects create an outstanding atmosphere. 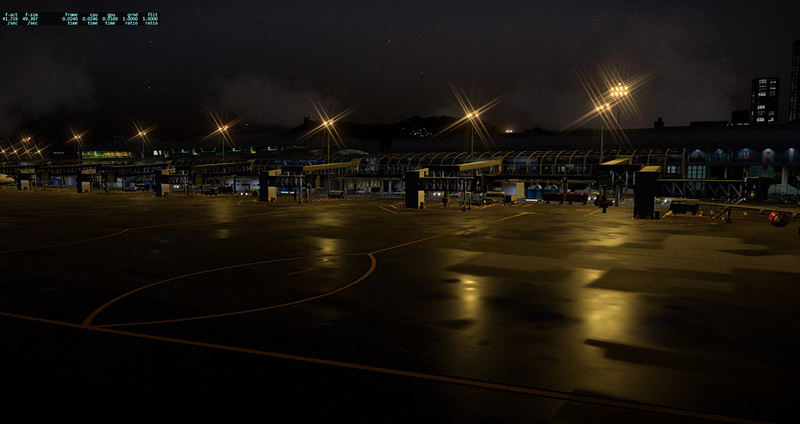 The airport is installed in an area of 833,000 square meters, with two runways with a capacity of 29 operations per hour. 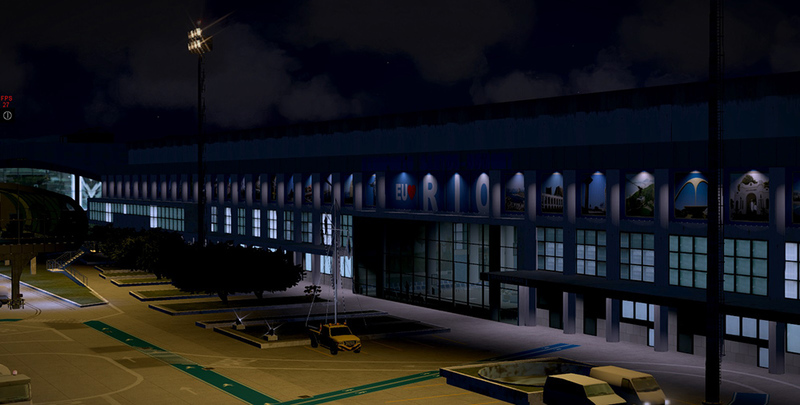 This structure provides the capacity to serve 9.9 million passengers a year and is named after the Brazilian aviation pioneer Alberto Santos Dumont (1873-1932). 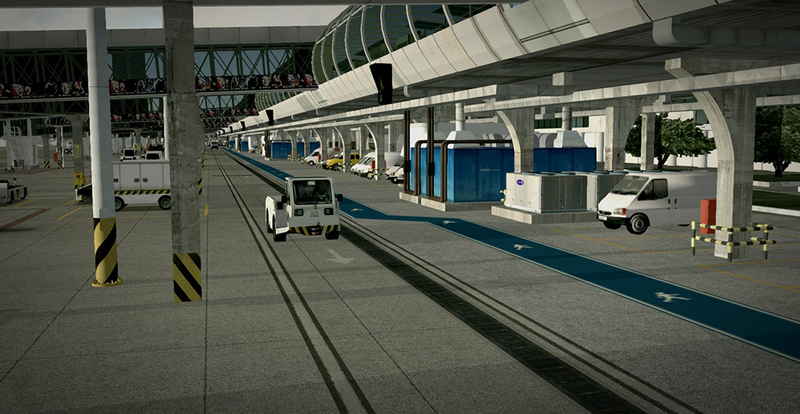 Animated vehicles, ships and barges. 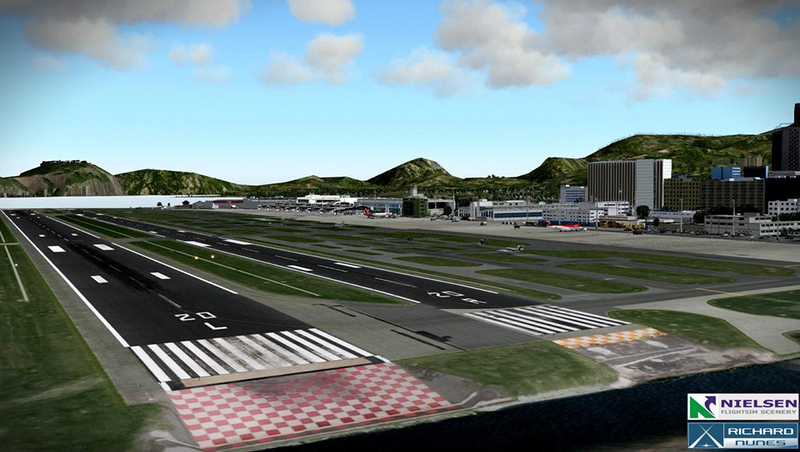 3D grass, true to Airport type. 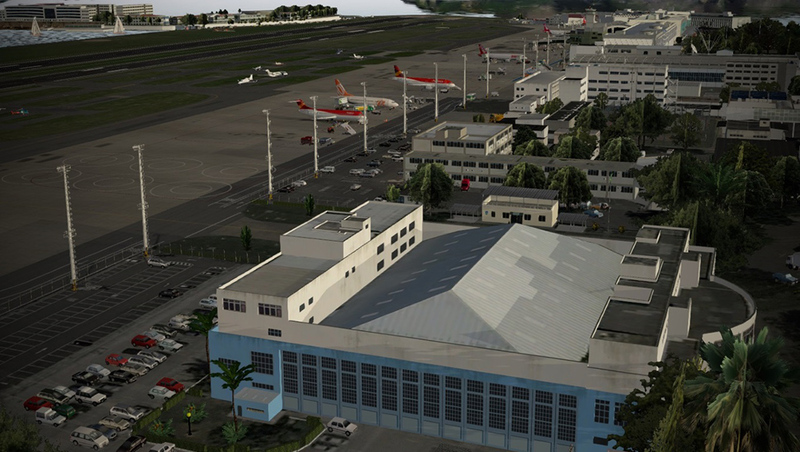 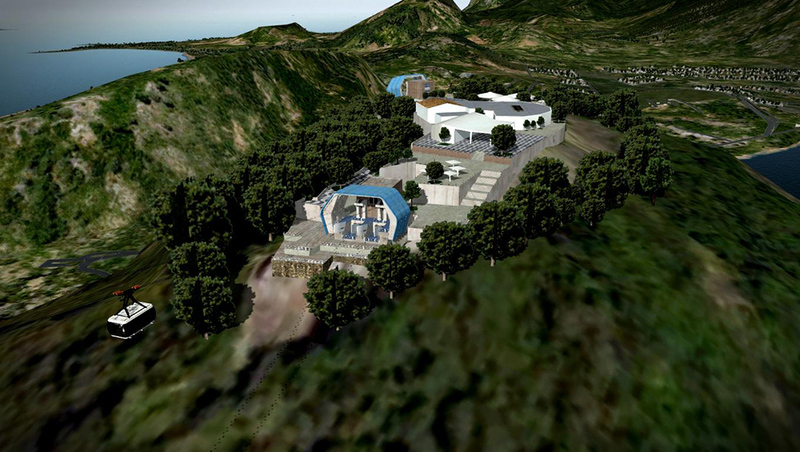 Airport and surrounding areas high-quality Mesh. 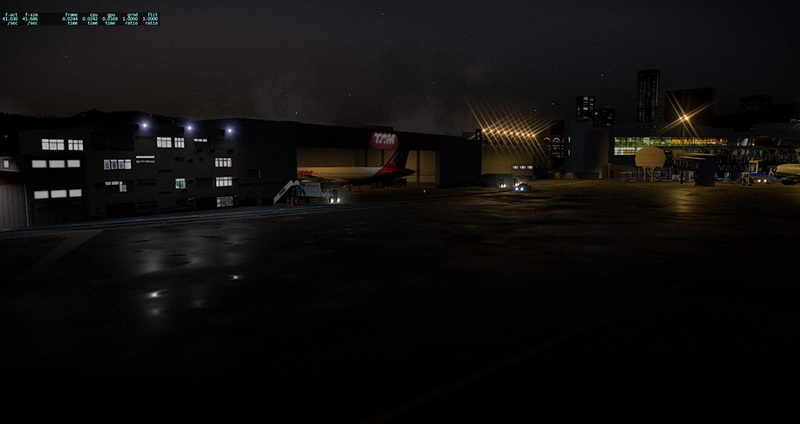 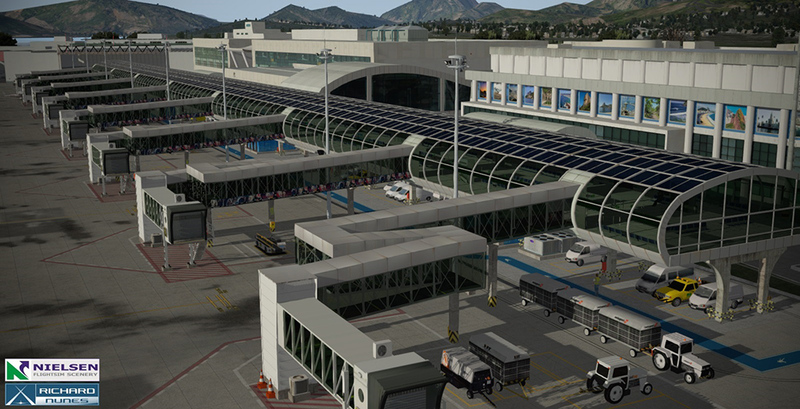 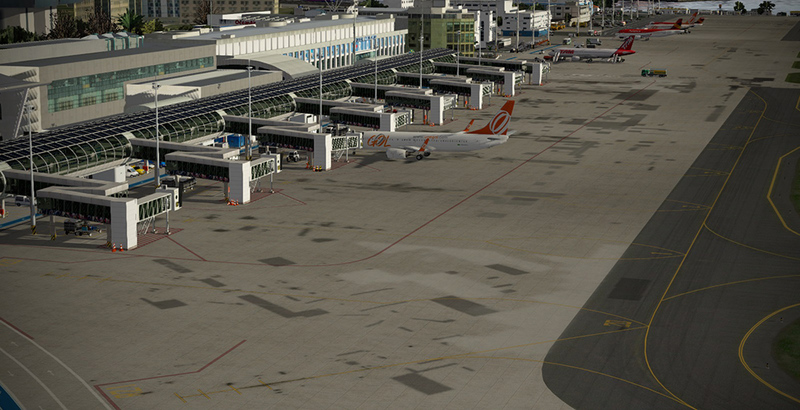 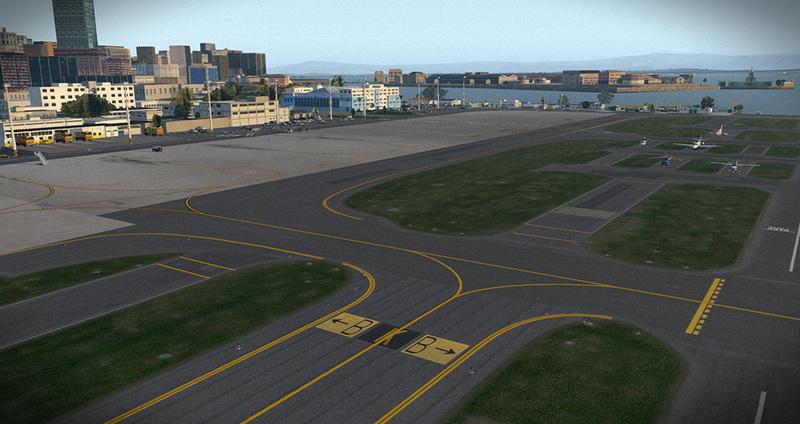 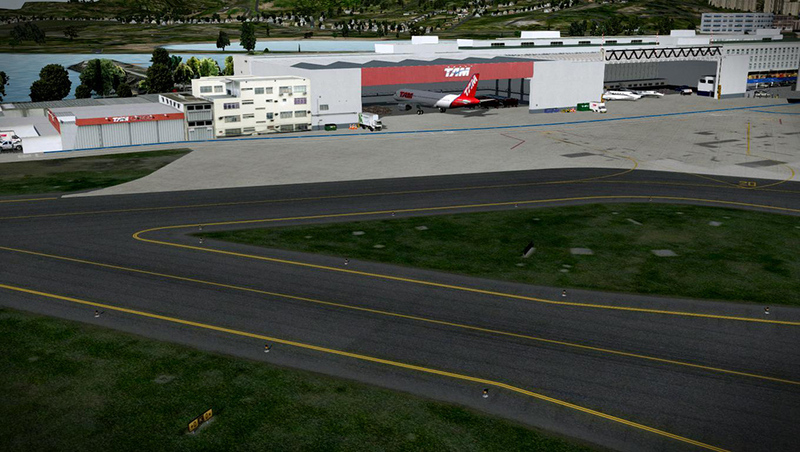 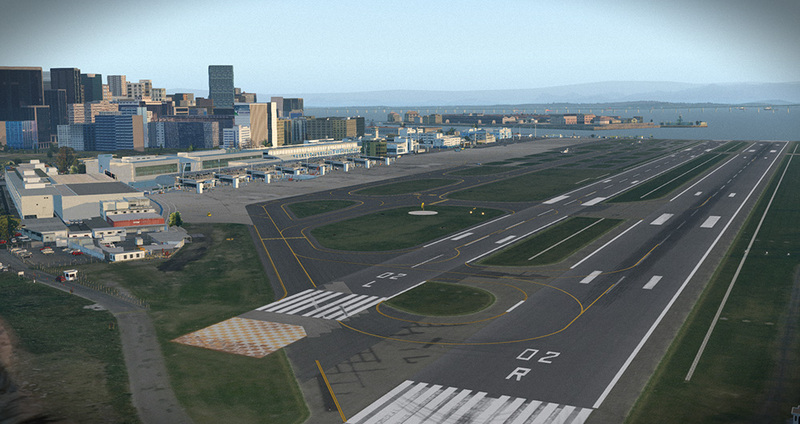 HDR Effect, indoor lighting environment, Terminal and Jetways. 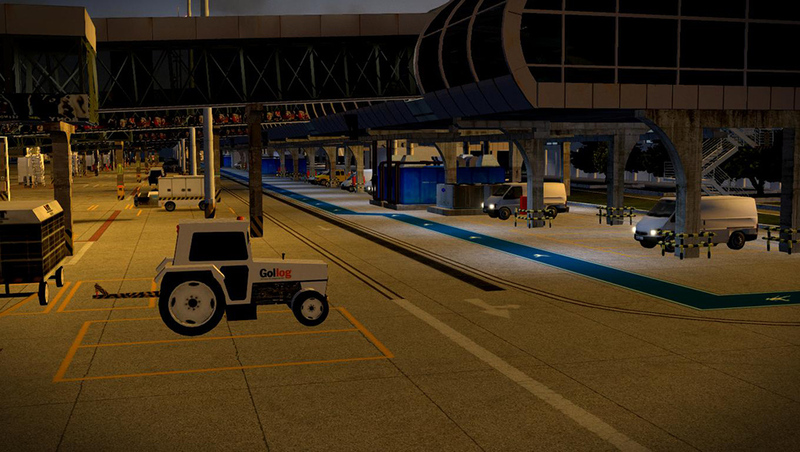 Textures personalized with ambient occlusion. 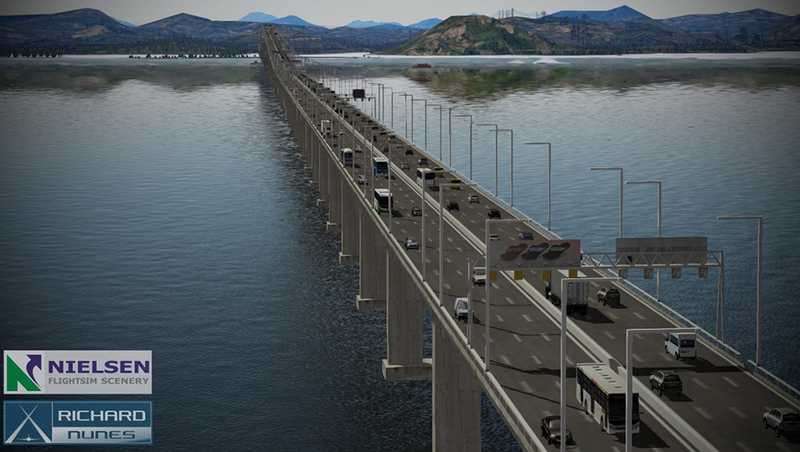 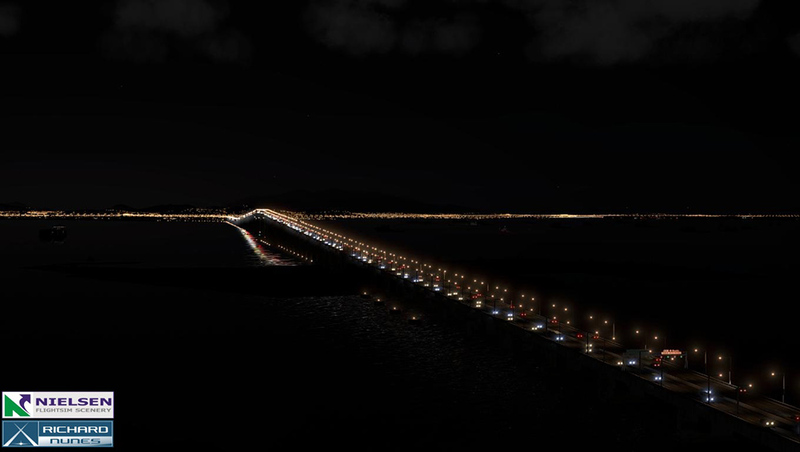 Rio-Niteroi Bridge with vehicle traffic. 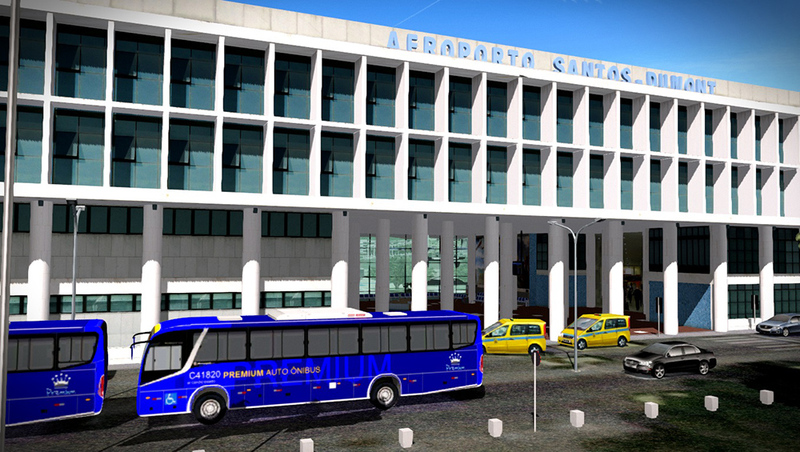 Prana XV, the Ferry Station. 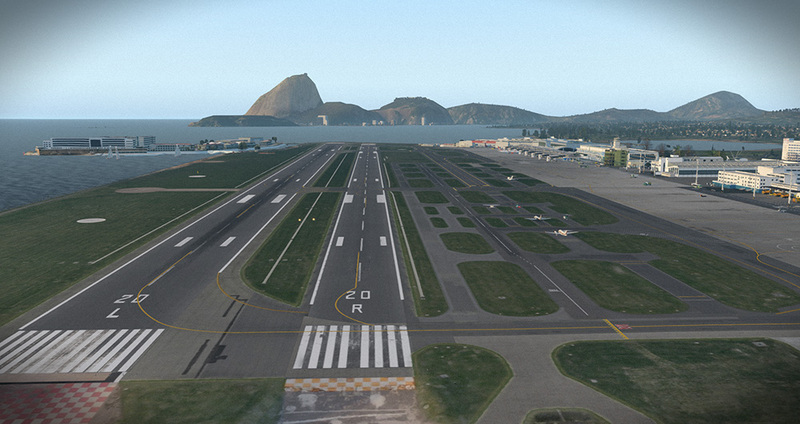 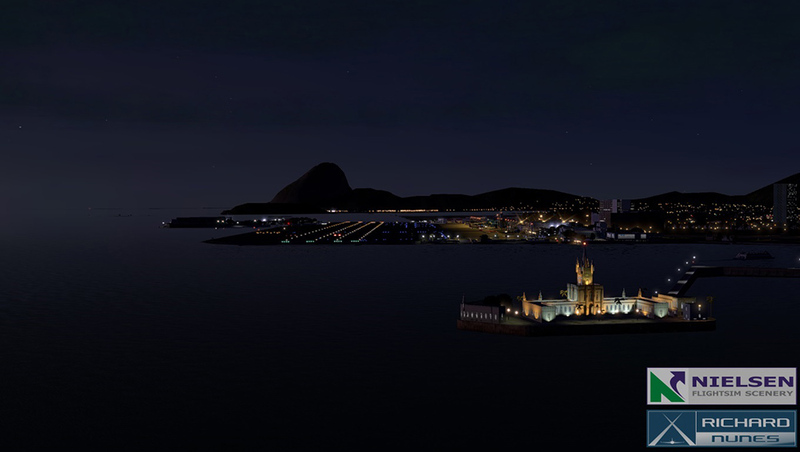 Liens supplémentaires vers "Airport Rio de Janeiro-Santos Dumont XP"